Toshiba just announced it has developed a new technology for 3D displays that do not require the viewer to wear 3D glasses. The technology realizes a highly portable, compact display that the user can easily switch between 2D mode Ultra-High Def 4K and High Definition 3D. Toshiba will unveil their new Glasses-Free Technology at the 2015 Consumer Electronics Sow in Las Vegas, which runs from January 6th-9th. Toshiba unveiled an earlier version of Glasses-Free 3D a few years ago but the early attempt though noted, as a breakthrough just didn’t produce an enjoyable viewing experience. Toshiba’s earlier Glasses Free 3D TV had a sweet spot and very limited viewing angles. There was a lot of cross talk in Toshiba’s earlier attempt. 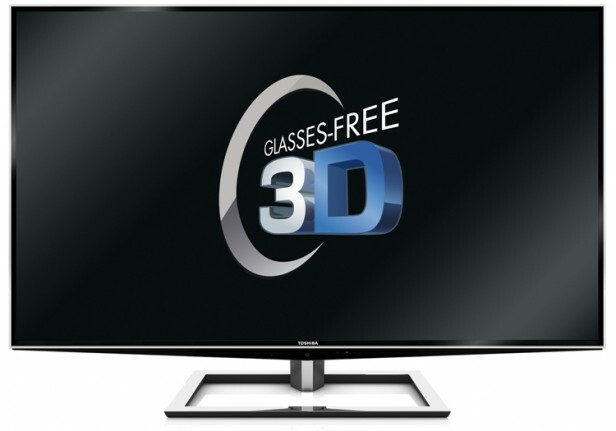 According to the recent Toshiba press release the new Glasses-Free 3D Television will be a game changer. Moving forward Toshiba said that the new technology could be applied to screens of any size even mobile. A few other companies will be announcing their versions of Glasses-Free 3D Televisions, which is said to be the Holy-Grail of Televisions if the electronics manufacture can get it right. Not sure if Toshiba is in partnership with Dolby and Phillips. The later two formed a strategic partnership and have combined technologies to create a pretty impressive Glasses-Free 3D Television which I had the pleasure of experiencing first hand. Dolby’s 3D HD television was pretty impressive.